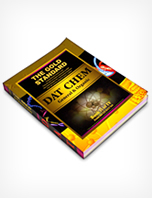 Our Gold Standard DAT Organic Chemistry Reactions and Summary page is not intended to be an exhaustive ORG review. That requires much more than one page. 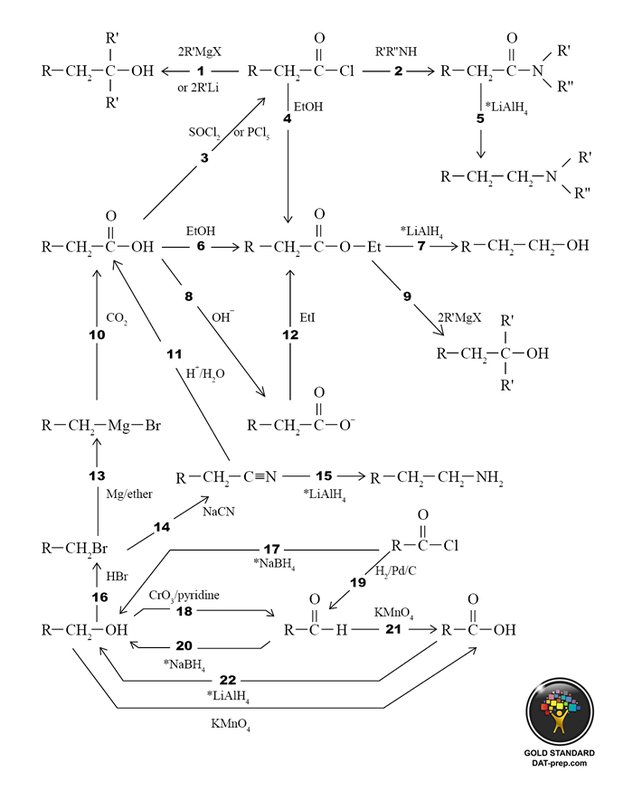 However, we hope you find a helpful summary of key organic chemistry reactions to help make your DAT review a bit easier. Consider printing the reactions and reviewing the logic frequently. As much as possible, try to make sense of the reactions and avoid memorizing. You will notice reactions that are numbered and then described below. 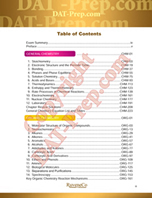 If you happen to have the Gold Standard DAT Chemistry book, we have placed the cross-reference to the section of the book for more information regarding any reaction or mechanism (i.e. 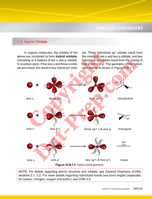 ORG 4.2 = Organic Chemistry chapter 4, section 4.2). Grignard reagents and alkyl lithiums are special agents since they can create new C—C bonds. *Reduction = addition of hydrogen or subtraction of oxygen. Mild reducing agents add fewer hydrogens/subtract fewer oxygens. Strong reducing agents add more hydrogens/subtract more oxygens. Cross-referencing to The Gold Standard DAT text. 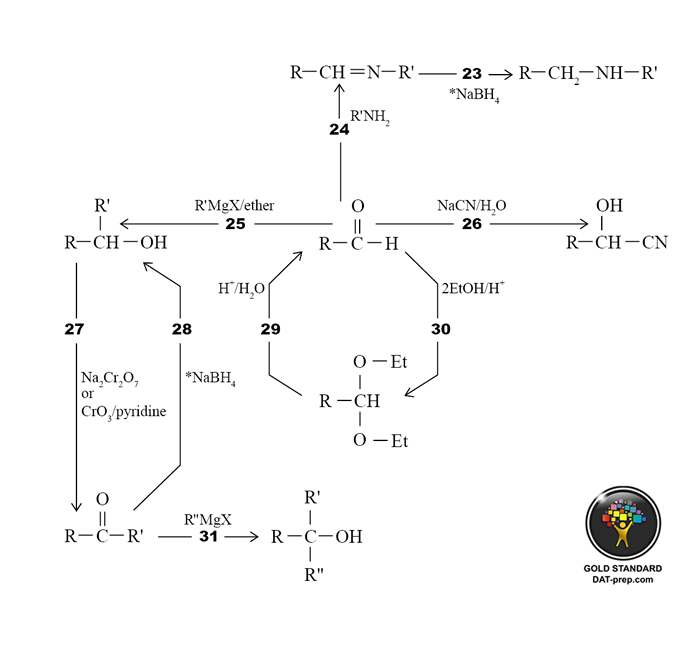 Most reactions presented can be derived from basic principles (i.e. ORG 1.6, 7.1). An acid chloride reacts with a primary or secondary amine to produce an amide. See ORG 9.3 & 11.2. A carboxylic acid reacts with SOCl2 or PCl5 to produce an acid chloride. See ORG 9.1. An acid chloride reacts with an alcohol (e.g. ethanol) to produce an ester. See ORG 9.4. An amide reacts with LiAlH4 to produce an amine. See ORG 8.2, 9.3. A carboxylic acid reacts with an alcohol (e.g. ethanol) to produce an ester. See ORG 8.2. An ester reacts with LiAlH4 to produce a primary alcohol. See ORG 8.2, 9.4. A carboxylic acid reacts with base to produce a carboxylate anion. See CHM 6.3 & ORG 8.1. An ester reacts with a grignard reagent to produce a tertiary alcohol. See ORG 9.4. A grignard reagent reacts with carbon dioxide to produce a carboxylic acid. See ORG 8.1.1. A nitrile reacts with aqueous acid to produce a carboxylic acid. Compare to ORG 10.1.1. A carboxylate ion reacts with ethyl iodide to produce an ester. Compare to ORG 10.1.1. An alkyl halide reacts with Mg/ether to produce a grignard reagent. Compare to ORG 10.1.1. An alkyl halide reacts with NaCN to produce a nitrile. See ORG 6.2.3. A nitrile reacts with LiAlH4 to produce an amine. See ORG 8.2. A primary alcohol reacts with HBr to produce an alkyl halide. Compare to ORG 10.1.1. An acid chloride reacts with NaBH4 to produce a primary alcohol. See ORG 8.2, 9.1. A primary alcohol reacts with CrO3/pyridine to produce an aldehyde. See ORG 6.2.2. A acid chloride reacts with H2/Pd/C to produce an aldehyde. See ORG 7.1 & 9.1. An aldehyde reacts with NaBH4 to produce a primary or secondary alcohol. See ORG 7.1, 8.2. An aldehyde reacts with KMnO4 to produce a carboxylic acid. See ORG 7.2.1. A carboxylic acid reacts with LiAlH4 to produce a primary alcohol. See ORG 8.2. An imine reacts with NaBH4 to produce a secondary amine. See 7.2.3, 8.2. An aldehyde reacts with a primary amine to produce an imine. See ORG 7.2.3. An aldehyde reacts with a grignard reagent and ether to produce a secondary alcohol. See ORG 7.1. An aldehyde reacts with aqueous NaCN. See ORG 7.1. A secondary alcohol reacts with Na2CrO7 or CrO3/pyridine to produce a ketone. See ORG 6.2.2. A ketone reacts with NaBH4 to produce a secondary alcohol. See ORG 7.2.1. An acetal reacts with aqueous acid to produce an aldehyde. See ORG 7.2.2. An aldehyde reacts with an alcohol (e.g. ethanol) and acid to produce an acetal. Note that using with less EtOH/H+, a hemiacetal will form. See ORG 7.2.2. A ketone reacts with a grignard reagent to produce a tertiary alcohol. See ORG 9.1. Mechanisms: Energetics, and Structure - elimination, addition, free radical, substitution mechanisms, etc. Chemical and Physical Properties of Molecules - spectroscopy (1H-NMR , 13C-NMR, infrared, and multi-spectra), structure (polarity, intermolecular forces, solubility, melting/boiling point, etc. ), and laboratory theory and techniques (i.e. TLC, separations, etc.). 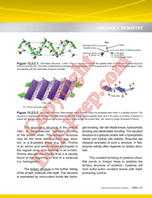 Stereochemistry (structure evaluation) - chirality, isomer relationships, and conformations. 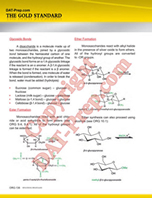 Nomenclature - IUPAC rules and functional groups in molecules. 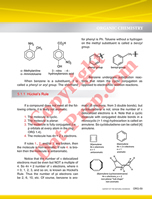 Individual Reactions of the Major Functional Groups and Combinations of Reactions to Synthesize Compounds - alkene/alkyne, aromatic, substitution/elimination, aldehyde/ketone, carboxylic acids and derivatives, and other. For each area of the preceding, the following specifications apply: general, one-step, and multi-step synthesis. 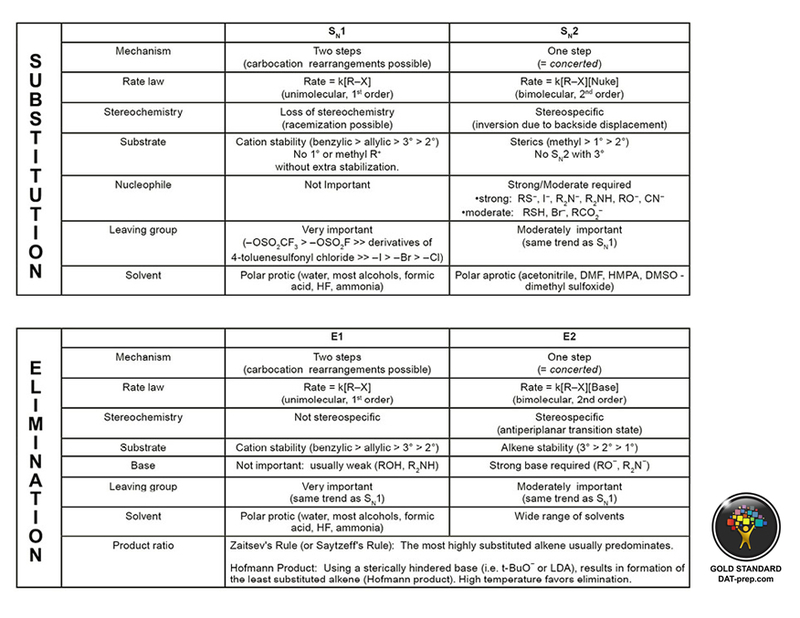 Acid-Base Chemistry - ranking acidity/basicity (structure analysis and pH/pKa data analysis), and prediction of products and equilibria. 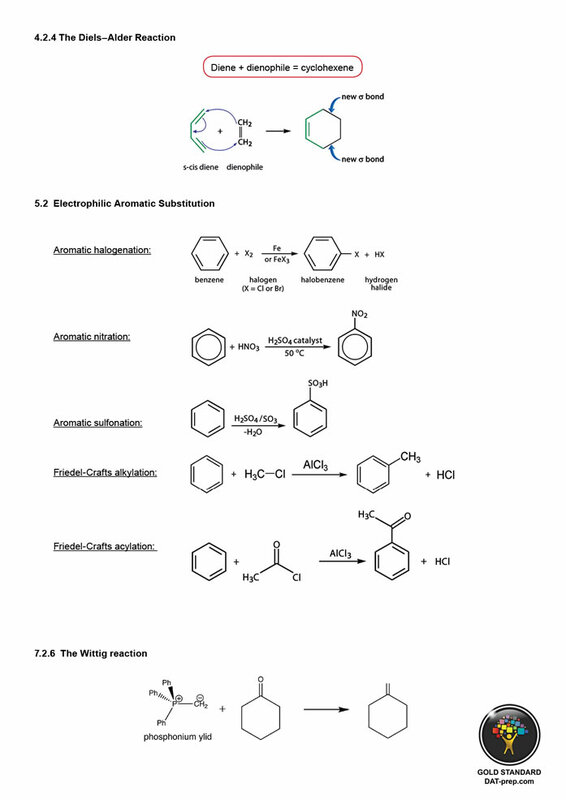 Aromatics and Bonding - concept of aromaticity, resonance, atomic/molecular orbitals, hybridization, and bond angles/lengths. Author: The Gold Standard team of authors and editors includes professionals with academic degrees in dentistry, medicine and the arts as well as Ivy League dental students with exceptional DAT scores (AA: 27). 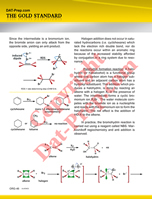 Description: Comprehensive chemistry review in color from the atom to thermodynamics to reaction mechanisms to NMR; General Chemistry Equation List & Organic Reaction Summary; hundreds of practice problems/questions with helpful explanations (in the book + online). 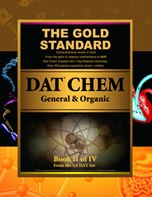 The Gold Standard DAT Chemistry Book: teaches all the content required to get a great DAT score. 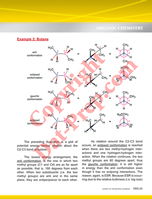 General and Organic Chemistry covered in 400 pages in color with hundreds of practice questions in the book and online. The review and the practice are DAT specific. Copyright © DAT Prep by Gold Standard - RuveneCo, The Only Prep You Need, The Gold Standard and The DAT Prep Bookstore may be either trademarks/service marks or registered trademarks/service marks of RuveneCo Inc. DAT or Dental Admission Test is administered by the ADA or American Dental Association which is not associated with our products. See ADA.org. All Rights Reserved. Reproduction without permission is illegal. 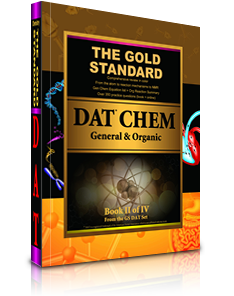 These organic chemistry mechanisms and summaries are reproduced with permission from The Gold Standard DAT Chemistry book.